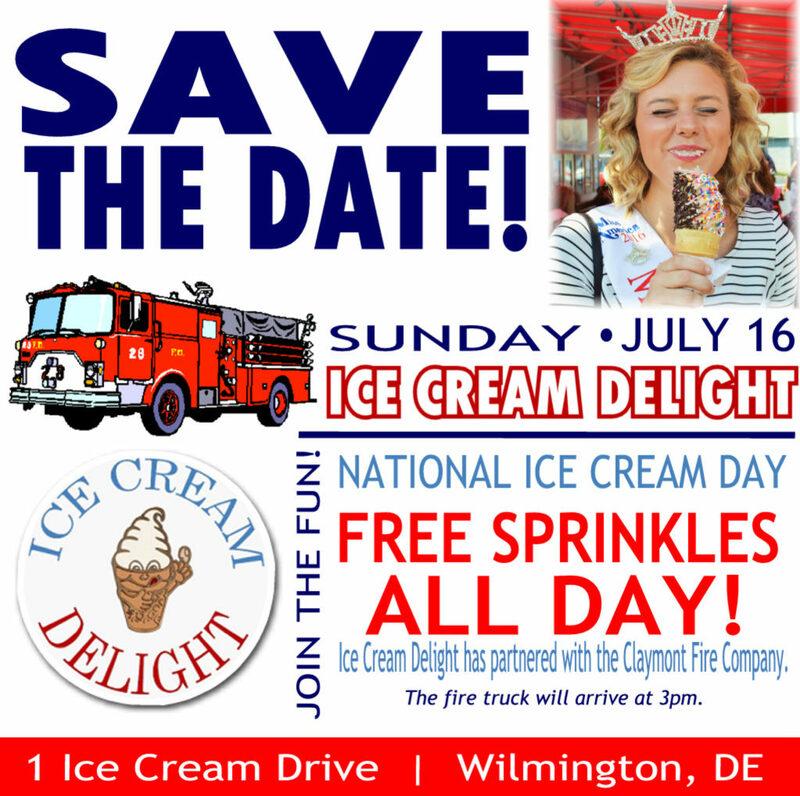 Join Ice Cream Delight of Delaware on Sunday, July 16th, 2017 for National Ice Cream Day! Enjoy Free Sprinkles All Day and a Visit from the Claymont Fire Company Fire Truck at 3 PM! Hope to See You There!